At BUTTERFLIES & ROSES, we are dedicated to providing our customers with friendly service. We value your business and have made it our mission to provide reliable products and services in our customer-driven approach. 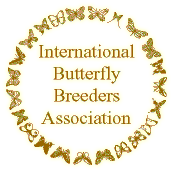 To learn more about BUTTERFLIES & ROSES, and the products and services we offer, you can reach Linda weekdays in our Brooklin, Ontario office at 1-800-367-0514. Our butterfly shelter is located outside of Lakefield where Wayne and his team raise and protect the butterflies.